(Bloomberg) -- The race for Indonesia’s next president is going down to the wire. Here’s what investors and analysts suggest investors in the world’s fourth-most populous nation do. 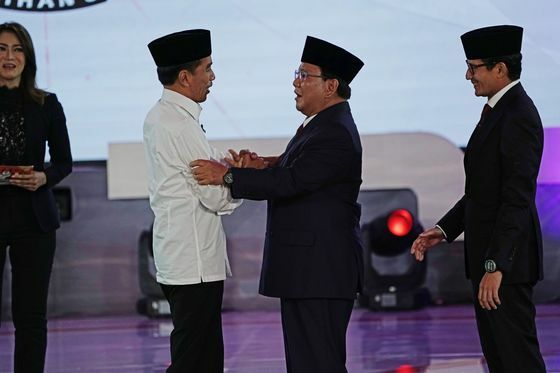 The odds of Prabowo Subianto upsetting incumbent Joko Widodo in the April 17 election have risen as the campaign heats up with a recent pre-poll survey showing the president’s chances of winning below 50 percent. Given how Mahathir Mohamad pulled off a surprise victory last year in neighboring Malaysia, investors may be advised to not put all their eggs in one basket, according to money managers and strategists. 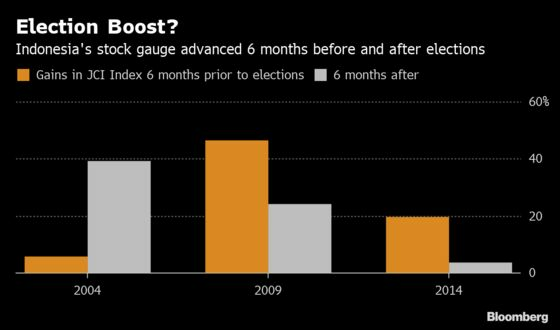 While a win for Widodo, known as Jokowi, would mean an extended rally for Asia’s best-performing major equity market in the past decade, his defeat may trigger an upheaval. While Jokowi still remains the firm favorite to win a rematch of the 2014 election, some analysts say Prabowo can pull off the impossible. Indonesian stocks have rallied six months before and after every election after direct presidential polls were introduced, with the biggest gain seen so far when the system was first used in 2004, according to Sook Mei Leong, head of global markets research at MUFG Bank Ltd.
Election outcomes tend to impact the currency and bonds less, she said in a report dated Feb. 15. The benchmark Jakarta Composite Index is up 12 percent since the middle of October, while rupiah is up almost 7 percent, mostly on dwindling odds of further U.S. Fed rate hikes. Bloomberg spoke to money managers and analysts on the best strategies for investors ahead of the vote.